Alain de Benoist is a notable French philosopher and journalist. He is best known as the founder of the French think tank GRECE, and the cultural movement of European New Right. Benoist is a prominent critic of neoliberalism, free markets and egalitarianism. He is known for his deep admiration for paganism and Europe. Alain de Benoist was born on December 11, 1943, in Saint-Symphorien, France. He graduated from the Lycees Montaigne, and later, attended the Louis le Grand. He was enrolled in the Paris Law Faculty to pursue his legal studies, and later, he attended the Sorbonne, where he pursued his education in law, sociology, philosophy and the history of religions. For four years, he served as the editor of the weekly magazine, L’Observateur Européen. Later, he became the editor of L’Echo de la presse et de la publicité, however, he did not serve this position for long, and in 1969, he accepted the position of editor for Nouvelle Ecole, a position he still holds. In 1988, he also assumed the position of editor of Krisis. In 1968, Benoist, along with forty right-wing activists, established the “Groupement de Recherche et d’Etudes pour la Civilisation Européenne” (Research and Study Group for European Civilization), an organisation devoted to political research. The official manifesto of the organisation describes it ‘not as a political organisation concerned with la politique politicienne, but as a school of thought to contest the regnant ideology and redeem the fundaments of European culture and identity’. Since its formation, GRECE has a significant influence on the activities of European right-wing activists. Benoist is a globally celebrated writer, proficient in English, Italian, German, French and Spanish. He has published several articles covering a diverse range of topics through various notable French and European magazines and newspapers, including Mankind Quarterly, The Scorpion, Tyr, Chronicles, Le Figarso, Valeurs actuelles, Le Spectacle du monde, Magazine-Hebdo, Le Figaro-Magazine, Telos, and Junge Freiheit. He has made several publications under the pseudonyms Robert de Herte and Fabrice Laroche. 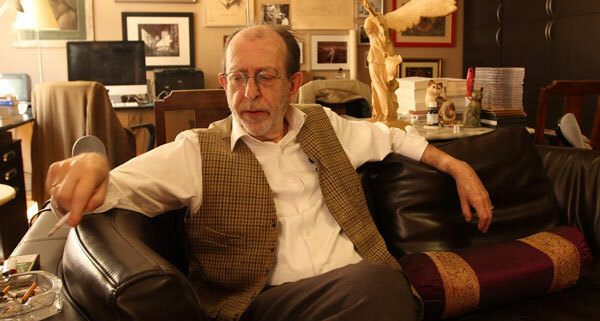 Benoist has published more than fifty books, some of his highly acclaimed and widely read works include “On Being a Pagan”, “Vu de Droite: Anthologie critique des idées contemporaines”, “Les Idées à l’Endroit”, “Comment peut-on être Païen?”, “Démocratie: le problème”, “Critiques – Théoriques, Au-delà des Droits de l’Homme”, “Nous et les autres”, and “Manifeste pour une Renaissance Européenne”. In 1978, he was awarded the Grand Prix de l’Essai by the Academie Francaise for his book “Vu de droite: Anthologie critique des idées contemporaines”.